London-based painter and printmaker Gail Brodholt has spent more than 15 years producing colourful art that celebrates London's railways, Tube system, Soho streets and major roads. Her work shows people travelling to and from their places of work or pleasure. 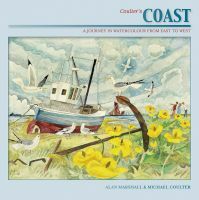 Each linocut prints reproduced here tells a story of departures and destinations. There is plenty of detail in her majestic panoramas of Paddington, Victoria and Liverpool Street, but Gail also produces smaller and more intimate studies of passengers on platforms or on the trains themselves. 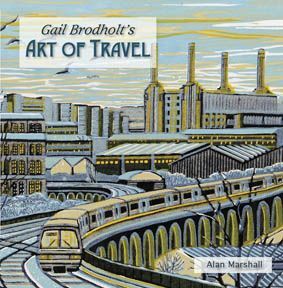 More than 100 of her prints are featured in Gail Brodholt's Art of Travel.